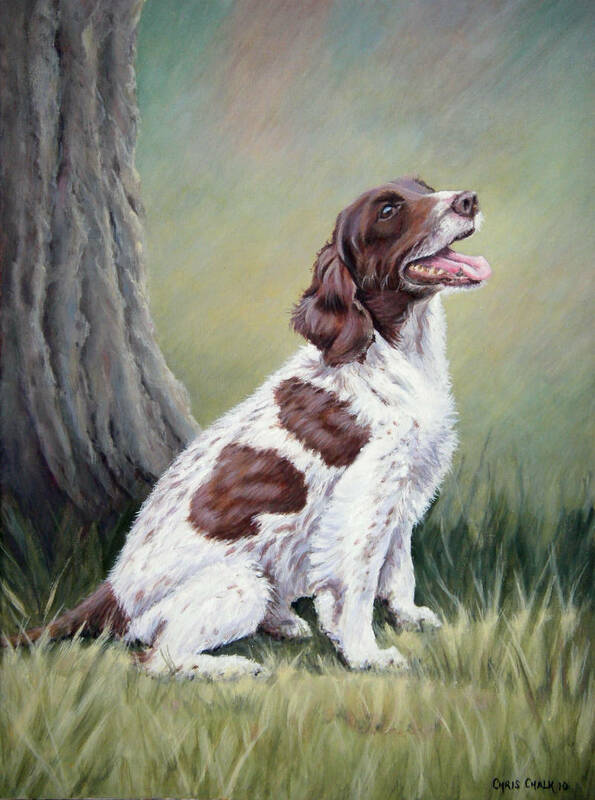 Pet portrait of a lovely Springer Spaniel called Sprockett. Sprockett was a retired working dog, so the client requested a suitably natural background that would hint at his working past in country side. Looking through my own photograph collection for ideas, the result is the background you can see here.